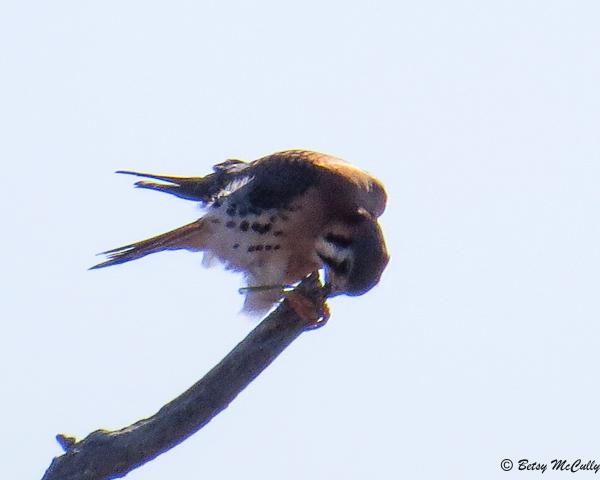 American Kestrel (Falco sparverius). Grassland bird. Feeds on grasshoppers. This individual was feeding on a grasshopper or dragonfly in late fall.